The author sets up a scenario that most progressive leftists only dream about.He pushes for free education based on free tuition a progressive tax system and takes swipe at the very success that is the source of the revenue. Making a declarative statement about how much other people can afford is typical, and a walking talking example of starting a conversation with assumptions only he is privy to. But is he ? The fact of the matter is that the author doesn't have a clue as to other peoples financial situation, no mater how much money they make.How could he ? $300,000 doesn't get you to first base in California and if you are a small business owner there is no guarantee on your salary from year to year. 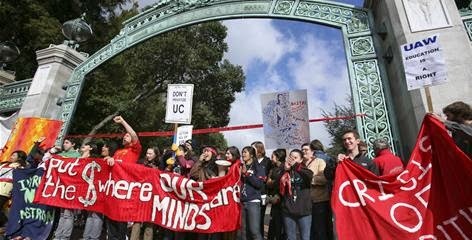 So saying "Free UC wouldn’t help the rich, and wouldn’t hurt the poor, and wouldn’t cost too much" is a fantasy based on his idea what too much is.California taxpayers spend $2.8 billion to educate the more than 230,000 students at the 10 campuses that comprise the UC [University system. 2.8 billion ! And what do they learn on these campus's ? "That for profit is a rip off." 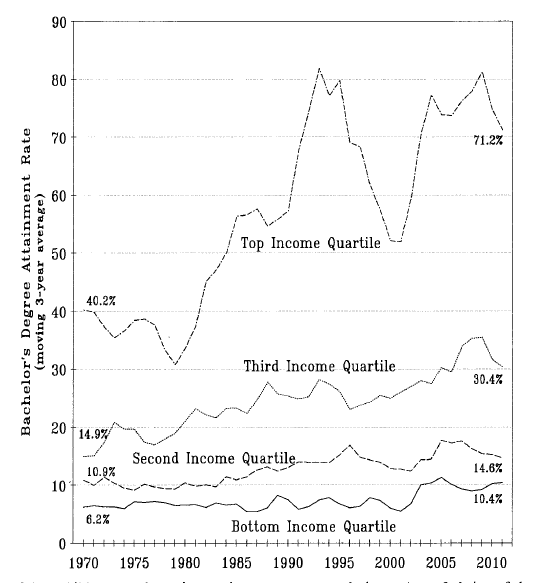 The author claims that high tuition doesn't fight inequality and that may be true but there is no intellectual equality at UC and there hasn't been for decades. Conservative voices are routinely shut down, not only by dogmatic professors but by the very notions they present as fact when beginning their lectures. There is a five to one ratio of leftist professors to conservatives. In English departments the margin was 88-to-3, and in politics 81-to-2.” Yet , if you are a conservative, or even a libertarian living in California, you are expected to hand over your money to people who despise everything you stand for.They aren't just asking for it, they are demanding.it. And they are demanding it in the name of free speech ! Not only that they are telling you what free speech is ! "This is going to require getting people to pay taxes for higher education again—an extra 50 bucks! The real goal should be free public university—Free UC. We need to use our free speech to call for that." That statement is not a free exchange of ideas , it is a demand. A demand you have to shut up and pay for. Don't pay for it unless you get something in return. Diversity of opinion. @Anonymous Ask yourself honestly where the State of California would be had there never been a University of California. Just in the area of agriculture alone, UC's contributions have been incalculable. I'm not just talking about research, but I'm talking about creating educated people who become the researchers. Your comment is short-sighted in the extreme. Brian Riley I don't have to ask "myself where the State of California would be had there never been a University of California" because I never posed the question in the first place. I also never said that UC didn't "benefit the State of California." Lol UC's contributions are calculable to the tune of 2'8 billion dollars and if they want more money from the tax payer then they need to represent all tax payers. And no close minded dogmatic answer would be complete without labeling dissenting views as "extreme and short sighted" without addressing the concerns expressed in those views. Lol I never said you "didn't address the issues". I said your answer was closed minded and dogmatic.You want the taxpayers of California to pay more for UC's tuition then UC should represent all of the tax payers. @Anonymous Actually, the California Constitution expressly forbids any kind of political "representation" of the kind you are talking about in the UC. Brian, I'm a different commentator. You're dodging the point, which has to do with with what many people perceive as left wing indoctrination in the UC system. Until that's addressed there will never be broad support for a tuition-free UC. In fact, in Santa Barbara and Santa Cruz, there is a growing belief the UC is a burden on the surrounding community that should be eliminated altogether. @Anonymous2: Anyone who knows my life history would know that I am the *last* person to dodge such an issue. I used to believe it myself, but then found out later that it wasn't true when I adopted higher ed policy as my PhD major and experienced the system from the inside. If you really are interested in learning more about the topic, you need to study the history of academic freedom in higher education and especially the reforms put in place during the UC presidency of Richard Atkinson. You two anonymous folks should try to get away from the Archie Bunker-style approach and get a little more serious with the issues. You're wasting the readers' time with these cowardly, anonymous potshots. Brian, you don't impress me with your slurs. In fact you help prove the point some are making. As I commented on another post, I'm a CSU, Fresno alumnus. My campus has been roiled for five years plus by accusations of liberal bias from conservative faculty and community members. Examples include a pro-Hamas and anti Jewish/Isreali speaker program, a "radical environmentalism" conference that attracted the attention of a federal grand jury, an undocumented immigrant serving as student body president, and campus administration picking the pro side in the Dream Act debate. Add to that acts of what some might consider domestic terrorism during the budget cuts and the Occupy California movement in 2009 and later: 11 arson fires and a $40,000 vandalism of a campus facility. At the same time allegations have floated in national media that conservative voices have been suppressed on campus. Additionally, we've had ambush journalism reinforce the image of CSU Fresno as a liberal haven. Is there bias in education? I believe so, simply because we're human and we bring our attitudes and beliefs to the workplace-any workplace. Is it a problem? I don't know for sure, although many people think it is. Is the perception of bias impacting high ed? Definitely. I've noted a growing backlash toward public higher ed in California I've not seen since the Vietnam War era. This is an outstanding article. I encourage the folks engaged in the exchange to focus on debating the issues rather than name-calling and such. Higher education is one of the surest ways for someone to get ahead in life. Should tuition and expenses be free? Probably not. But higher education should be affordable - the kind of thing that one could pay back within a couple of years in the workforce. @Anon2: I'm giving you a homework assignment. Read the book "The Slow Death of Fresno State" by Kenneth Seib and then give me your candid reaction, privately. Your comments above show a lack of historical depth and understanding. Don't expect me to engage you further on this topic until you've read the book. The article switches back and forth between "full cost of attendance" and "tuition" in a misleading way. To go to Berkeley, students have to come up with a full cost of attendance of $33K: roughly $13K tuition and $20K living expenses. If tuition is zero, students will still have to come up with $20K for living expenses. How will they do that? Now, 1/3 of tuition goes to financial aid, called "return to aid". This pays a part (roughly $12K) of the living expenses for low-income students. This, combined with tuition being covered by state and federal aid, means that they pay _less_ to go to Berkeley under the current system than they would if tuition was zero. Don't believe me? Look at the numbers above. 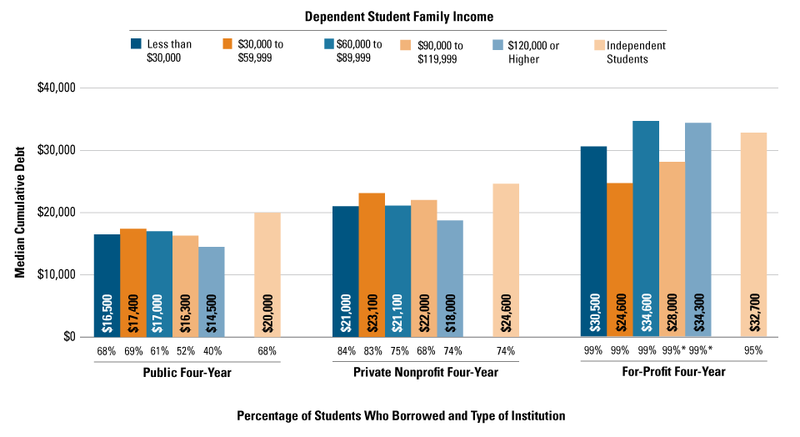 Lowest income students graduate with $20K of loans, roughly. Their living expenses were $80K (4 years at $20K). How did they pay the difference? Answer: the return-to-aid component of tuition paid for it. If tuition goes to zero, that's cut off. The next time somebody tells you about how life was good 30 years ago when tuition was small, ask how they paid their living expenses. You'll hear about working full time jobs, living at home, or relying on money from their families. We don't live in that world any more. Arguing for zero tuition (in the absence of a huge return of money from the state, even more than is being asked for above) is a victory of nostalgia over benefit for our students. Bob, I don't understand your first sentence, since I'm explicitly trying to shift attention away from tuition coverage, which UC discusses almost exclusively (Brostrom again on KCRW 11/19/14), toward total cost of attendance. Your example is helpful. In answer to your question, how would students come up with $20k for living expenses without return-to-aid skimmed from high tuition, the answer is state and federal financial aid. 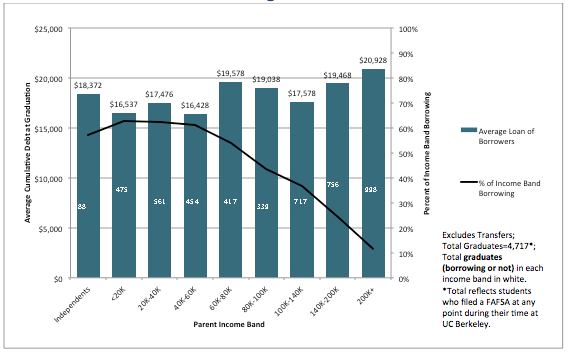 Pell Grants and Cal Grants would have a much easier time covering 100% of the cost of attendance for a wider range of low-to-middle income students were tuition either at the "reset" level (CUCFA's 2001) or near-zero. Point well taken about how 1984 was no utopia. But there's a sizable literature about study time dropping, work time during school rising, etc., and the student distress over the new Napolitano tuition hike proposal testifies to the real struggles a sizable percentage of our students are having making ends meet on the HITHA model while also doing well in school. I cited Berkeley's AS external VP in my post yesterday as one example. These stories express the limits of the HITHA system. And it gets worse: Jerry Brown has been telling the Regents that the state counts Cal Grant / M-C Scholarship money against the U's general fund distribution. In effect, this means that campus operations and not wealthy students are subsidizing financial aid, which hurts students at the same time as it helps them.